It’s somehow October already, and it’s been months since the Giveaway Extravaganza, and far too many months since a standalone extravaganza. I really need to have more of these. Partly because I love giving away stuff. And partly because if I was smart I’d do more of these posts merely because they take all of about 6 minutes to put together. And in the case of this week, that means I can sit on this beach in Cancun drinking even more all-inclusive drinks instead of writing. Boom! For everyone else though (except I suppose those either living on a beach or at Kona) – you’ve got the weekend ahead – which is certainly like sitting on a beach. Unless you’re racing, in which case it’s no beach. 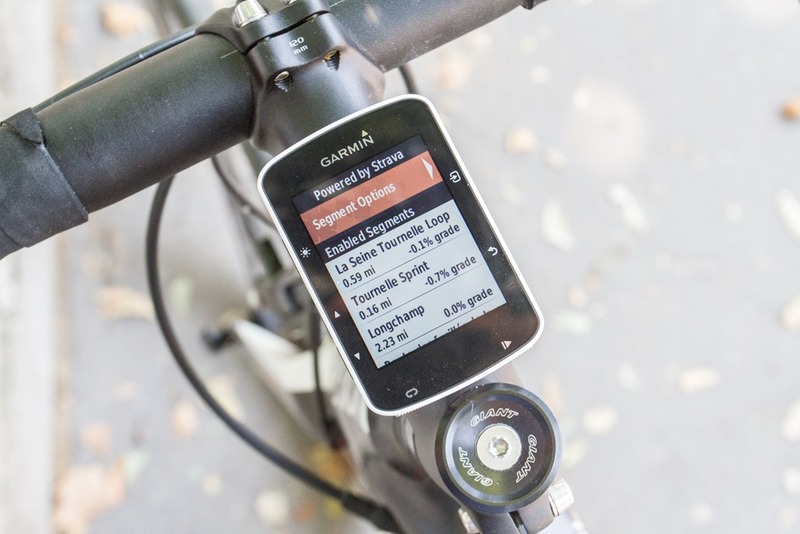 For this weekend I (well, technically my friends at Clever Training) will be giving away a brand new Garmin Edge 520. They’ve got plenty of them in stock now, and one has your name on it. To enter: Simply leave a comment below telling me what your training or racing plans entail this weekend! Yup, it’s that easy! And yes, you can enter no matter where you live. Louisiana or Lithuania – all are OK! Someone from Lithuania actually won in the most recent giveaway. Remember that by supporting the site through Clever Training you also can save 10% on basically everything they sell, unless it’s already on some sort of big sale. From GPS watches to clothing to nutrition. The giveaway entry period will run through Monday, October 12th, 2015 until 11:59PM US Eastern Time. Winner will be selected randomly, not on coolness of your training or racing plans. Unless they are so epic they cannot be ignored. Rainy weekend… Zwift to the rescue ! No workouts, golf trip with my buddies. The plan is to recover from a cold and follow my Light Feet Running and Total Immersion training plans! Rode a Fondo with best friend Jens. Pro-ed out. A weekend hiking the hills of Northumberland and recovering watching the Rugby World Cup! Since its now Monday I can say my training was all about avoiding the heat!!!! it was too damn hot in So Cal over the weekend! Well, since I’m only 3 weeks out from open heart surgery, my “training plans” involved a 3.5 mile walks this weekend. But I’m all signed up for Ironman Lake Placid in 2016, so I have that to look forward to! Took my fiance for her longest bike ride ever to help her prep for her first duathlon. Yet another blerching weekend… I really need to get my sh*t together! Sunday final race of 3 part Garmin MTB Series. Last year, after several years of sitting “on the couch”, I moved out of it. But I didn’t even dreamed, that I will be able to finish such series. Run at the Wheeling Invite, then Go down and help out at the Chicago marathon. It’s Monday and it was a recovery weekend for me!! 1st ride after neck surgery. Great to get out and ride again. This weekend was a leisurely ride down a canal after 2hrs swimming with my children! 10miles run + 20miles bike. A mix of swimming, biking, and running. Terrific weather in DC for training outside. A group Saturday ride aptly named “Anarchy” that I will have to cut short and hopefully a Sunday coffee ride. How about your plans? Light run today – easy day tomorrow. cyclocross race! gotta love cross season. Not training at the moment. Hitting DCR website to get motivated and spotted this. Winning it would motivate me even further. My plans are (were): taking on the Great River Ride in Westfield, MA (which was awesome – such foliage! ), and a #coffeeneuring ride in the “quiet corner” of northeast Connecticut – both accomplished! This past weekend i was gonna ride but had to work the whole weekend. This weekend im gonna get it no matter what, probably 30 miles sat. to end the week. I raced cat 5 cx and won.. 🙂 Requested an upgrade and raced cat 4 and took second. Winning this would make for a great end to my weekend!!! Definitely some easy paced trail riding now that race season is over. My plan of attack for the day is to start the AM with a large bowl of Organic Oats and berries to allow me to put 15 kms + of a trail run at Blue Mountain….still recovering from surgery 3 weeks ago but I feel great and I am happy to be alive again……Eat well and exercise often 🙂 I gotta go run now!!! Getting ready for the Devil Dash on Halloween! This past weekend I finished up our states Cross Country Mountain bike race series. This next weekend will entail some longer easy pace recovery rides then back at it getting ready for cyclocross. Also I lost my Garmin 510 so a 520 would be nice! Easy ride on the trainer while I try to get healthy again. Went to watch friends at Louisville ironman! It was awesome. I am ready to start training do my next half ironman! Ran, swam, and core workout! My trainig plans are conquering the lakeshore of Toronto’s Harbourfront with my bike, and hiking Mount Kelso in Milton Ontario. Driving down to Florida this weekend and planning to put in some nice century rides next week. No work. Going to be great! Logged 25 running miles this weekend. Ramping up for the NY marathon! Estes Park, then the peak to peak highway. I may be too late… Oops but a nice easy swim is on the agenda. Fall is finally inching towards South Florida, and the humidity and temperatures are getting bearable. So a long ride up and down Key Biscayne.